Featured on How He Asked today! 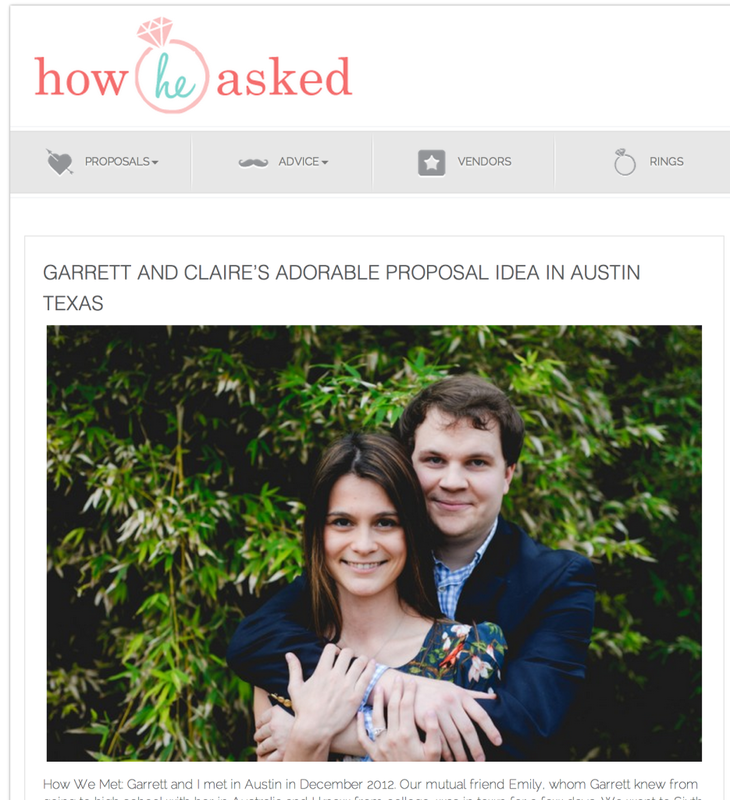 Garrett and Claire’s adorable lake Austin proposal is featured on the proposal blog How He Asked today! Hooray! You should go take a look at it here on HHA and back on my blog over here.